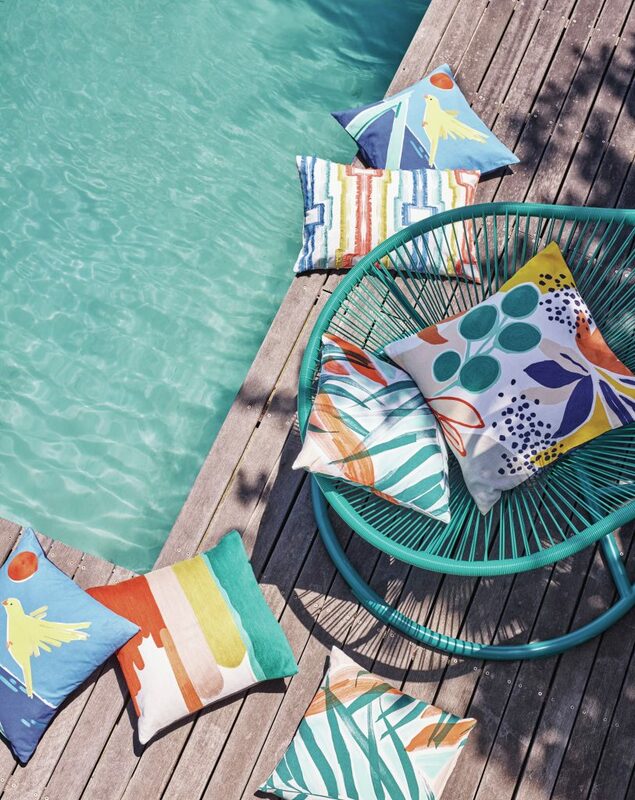 Take the fun outside and give your outdoor space a little revamp with vibrant and playful pieces from Poolside, the latest summer trend from John Lewis guaranteed to brighten up any area. 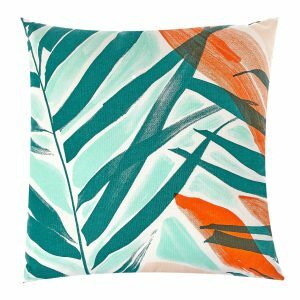 Create a laid-back aesthetic for indoor and outdoor spaces with bold and beautiful cushions which you’ll want to show off during your outdoor garden events. 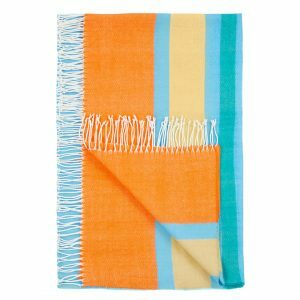 During the summer months we all love to stay outdoors longer, so whether you’re entertaining guests or enjoying a romantic meal, keep the chills at bay with this striking throw. 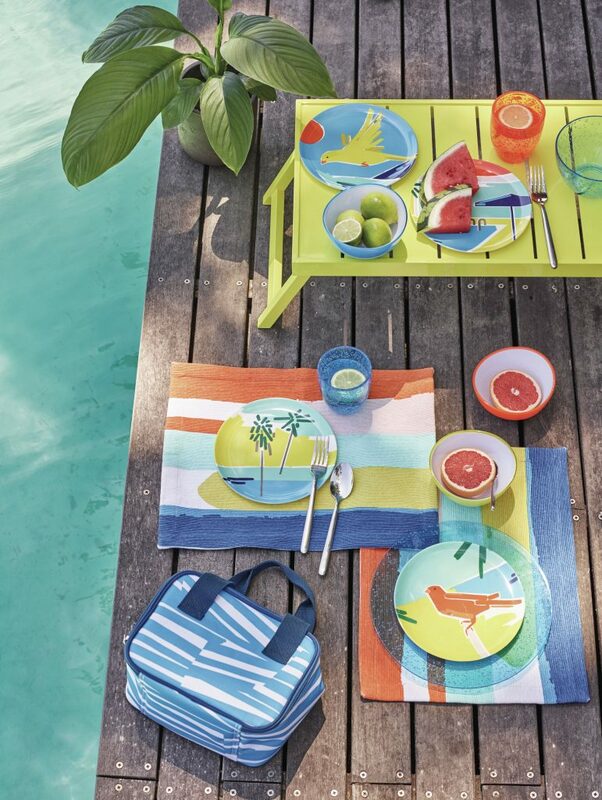 Bring a splash of colour to your alfresco dining setting. Made from melamine, this colourful set of plates are perfect for outdoor use and will make a vibrant addition to your summer BBQ’s, picnics or festivals. 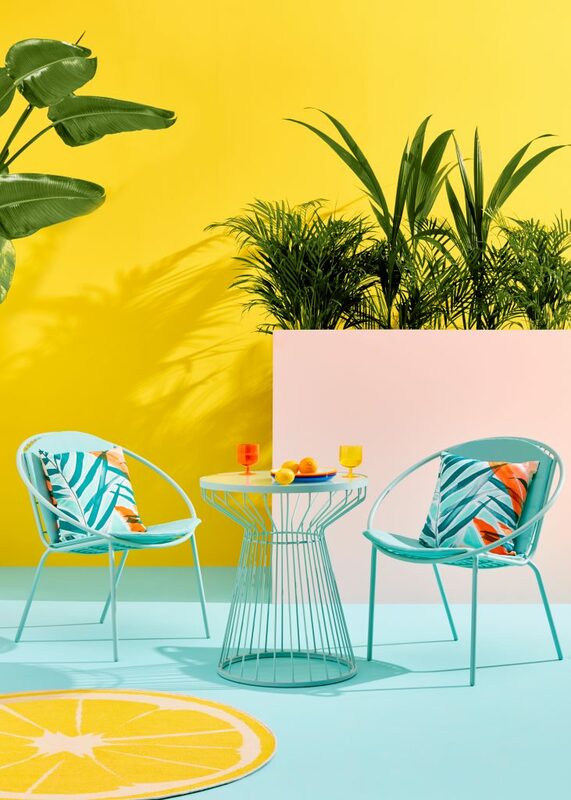 Add some colour and bring the wow factor to your garden with this refreshing mint porto bistro garden table and chair set. Perfect for entertaining or alfresco dining in the sunshine, this outdoor table and chair set is a great way to give your garden or patio a contemporary update. Also available in other colours. Porto Bistro Garden Table and Chairs Set, Mint £229. Great for outdoor use, this set of four plastic poolside wave bowls are a garden party essential. Serve up a delicious array of deserts to your guests with ease and without compromising on style. 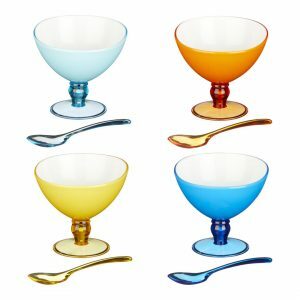 Each colourful bowl comes with a matching spoon.